Since the beginning of the Fourth Republic in 1992, Ghana’s democracy has witnessed steady consolidation; intrinsic thereof is civil society’s participation in governance. This participation can be defined as the mechanism required in decision-making for the purposes of regulating and improving the living conditions of citizens. 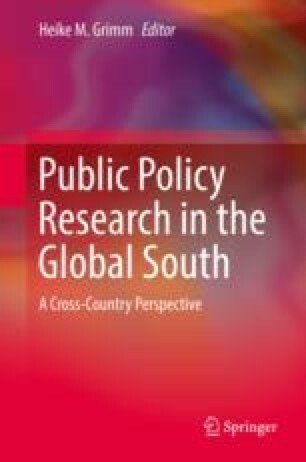 An evident feature of the growth of Ghana’s democracy is the increasing number of policy institutes, also known as think tanks. Progress has, in part, been promoted by think tanks through their activities by enhancing and ensuring citizen participation in governance. This contribution will pay particular attention to the various activities that have been developed and employed by these think tanks and also present a systematic assessment of their themes and activities. It is hypothesized that activities of policy institutes contribute to participatory governance through inclusive policy making by think tanks and further democratization of Ghana. Again, the activities of think tanks are a necessary supplement for government. Thus there is a link between activities of policy think tanks and citizen awareness and/or participation in governance and policy making.